I’m not sure when I blinked and November was staring me in the face. 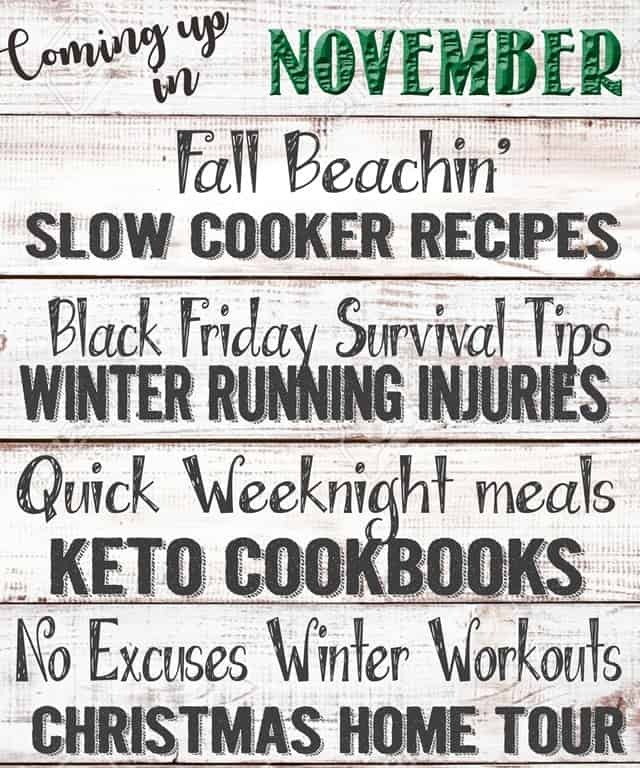 But the calendar on my phone reads Nov 1st, so here it is! 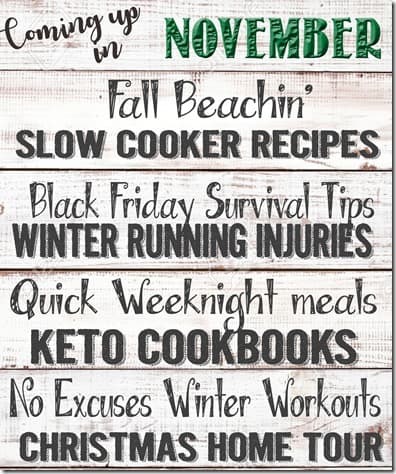 November is all about winter workouts, dealing with a race-ending injury, new Keto and Paleo cookbooks, Black Friday fun, and all those small moments of holiday joy that we relish each year. January cold and grey will be here soon enough. November is a month-long party.